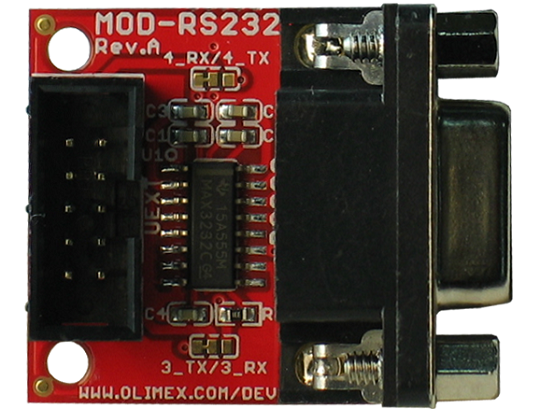 MOD-RS232 is an RS232 level-shifter with UEXT connector. 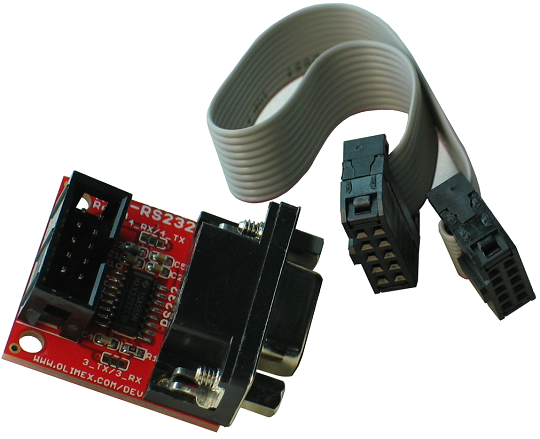 Using this module you can connect any OLIMEX board that has a UEXT to an RS232 device. 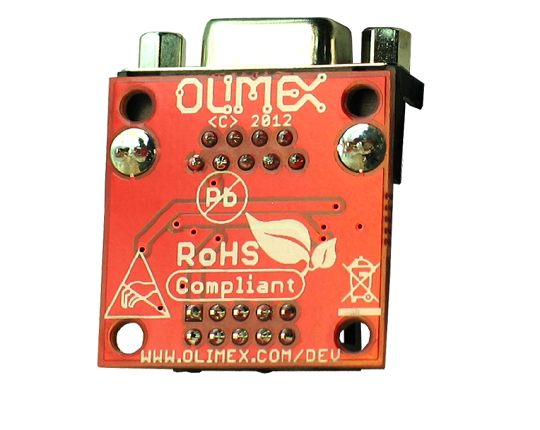 Tiny size: PCB dimensions - 26 x 26 mm (1 x 1"); Nominal dimensions - 33 x 26(1.3 x 1)"